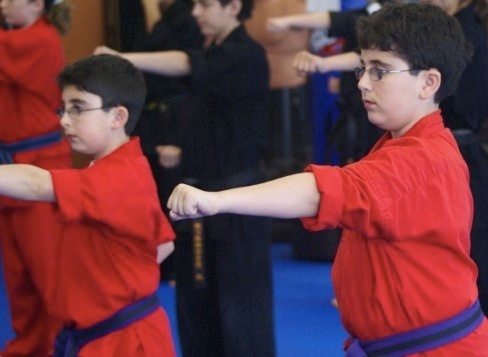 At Energy Karate, it is our belief that karate begins and ends with respect. Through our programs all students develop self-discipline. which leads to greater focus and self-confidence. Anyone can do karate. no matter their fitness level or previous experience in sports. 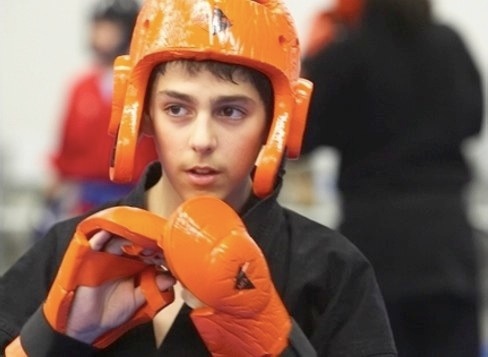 With perseverance even students who do not consider themselves athletic can reach the demanding level of black belt and after all, a black belt is a white belt, who never gave up. With black belt instructors that care about helping you achieve your personal goals whether it is physical fitness. weight reduction or learning sett-defense. Classes are exciting and always full of energy! 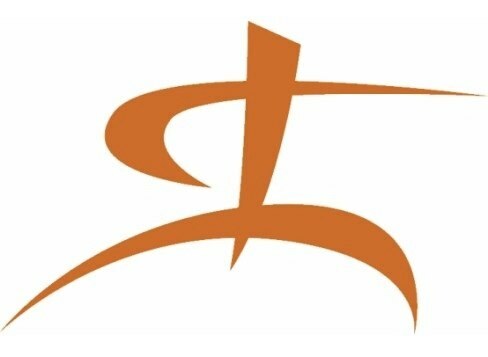 From basics, strength and conditioning to self-defense and weapons our curriculum will develop and challenge and inspire all students. Our classes are taught in a modern, safe and friendly environment. 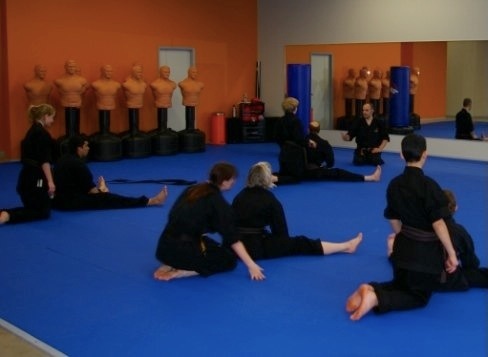 Our climate-controlled dojo includes a spacious training area covered in state of the art Swain mats. These 1″ thick foam mats provide the best in protection and comfort for our students. Mirrored walls provide feedback on the quality of your technique. Sensei Pablo’s love for the art of karate and his dynamic teaching style inspires students to do their best while building their confidence and sett-esteem. He is committed to his students as individuals and enjoys seeing them reach their goals. His leadership and high energy have produced a loyal following of both male and female students of all ages. 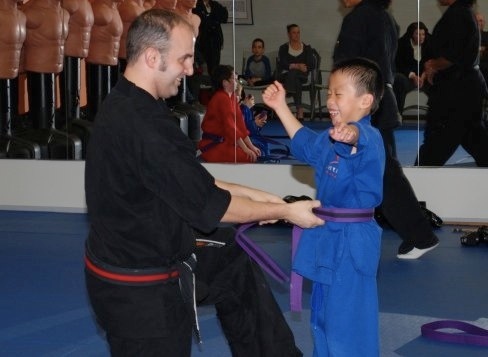 Sensei Elliot’s passion for karate is demonstrated through his fun and interactive teaching style. 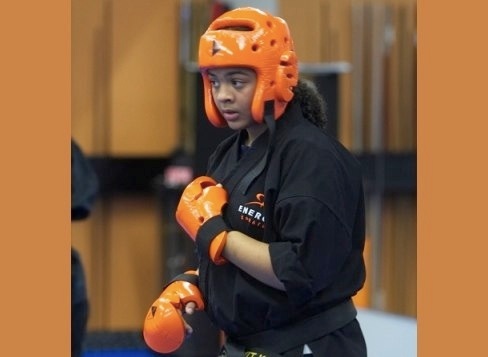 Sensei Elliot has a unique connection with children that develops a combination of fun and technique that inspires students to be the best they can. He embodies strength and a particular interest in sparring and weapons which he discovered through his years of training. 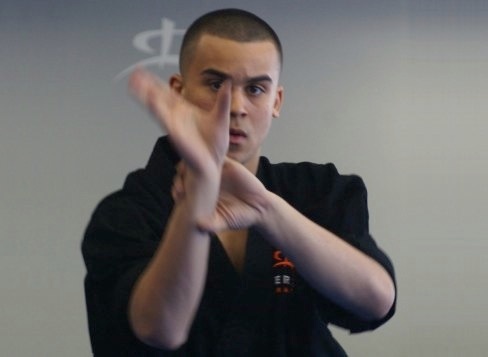 Sensei Chris motivates students to exceed their limits through his focused teaching style. His powerful and flexible kicks are his specialty. which he enjoys passing on to the students. 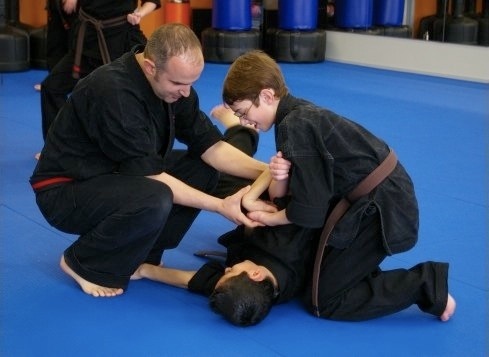 Sensei Chris has a strong knowledge of the art and communicates it with enthusiasm. Attend class 2 -3 times per week and practice in order to progress. All students must be registered for the classes they are attending. Arrive early for class and please wait quietly at the edge of the dojo in sitting position. Students are required to bring all karate equipment to every class. Keep uniforms clean. odor free and neat. Belts should not be washed. For safety purposes, all jewelry should be removed while training. Please ensure all cell phones are turned off or on vibrate mode. All siblings/guests must be supervised at all times. Keep conversation/noise to a minimum. Please supervise all children in the washroom and change rooms.